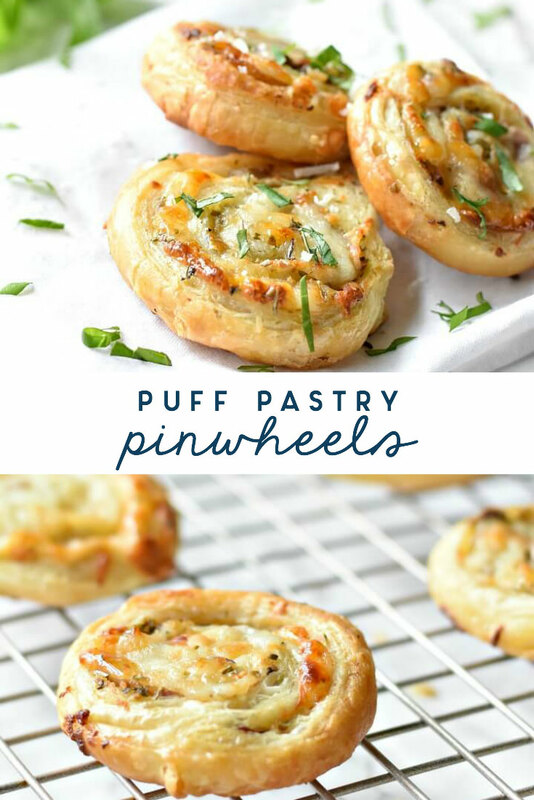 Puff pastry pinwheels are a mouthwatering appetizer, yet they’re so easy to make. Just a few simple ingredients come together quickly for a treat that’s sure to impress your friends and family. What’s up everybody? 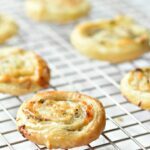 Pam and Sara from Biscuits and Burlap here stopping by again with a yummy recipe for Puff Pastry Pinwheels – Italian Style. Have you noticed that everything we’ve brought to the Ugly Duckling House has been either a cocktail or an appetizer? 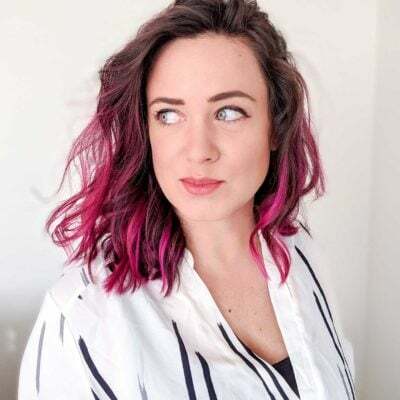 That’s because we love a party, and so does Sarah! Slap a drink in one hand and a munchie in the other and we are happy campers! But, the truth is, we’re also known to make a meal off appetizers (and cocktails) on any given night. It doesn’t have to be a true party. It can be a party for two. Apps and a drink just seem to make any evening feel special. 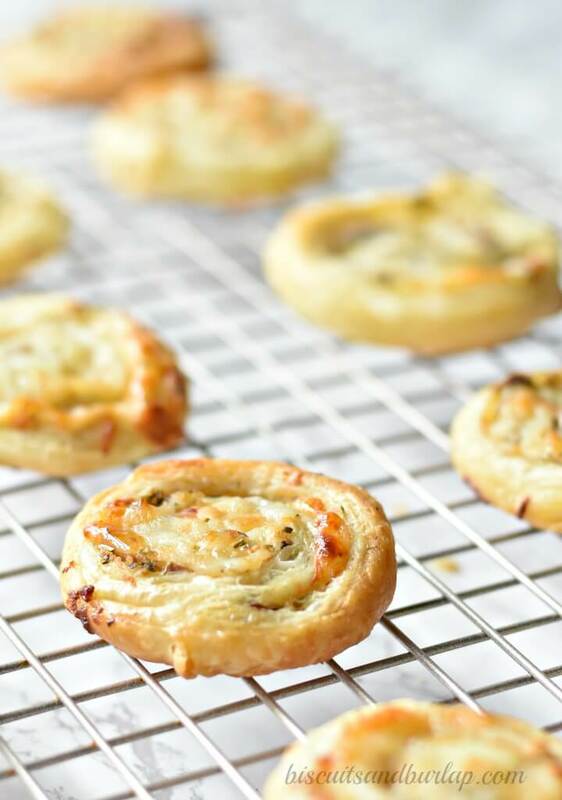 Puff pastry is one of those products that is so versatile. There are literally dozens of delicious treats you can make with them including desserts, side dishes, entrees and appetizers like these. If you do a search you can find lots of roll-up or pinwheel recipes, but we’ve come up with something unique with the addition of prosciutto. 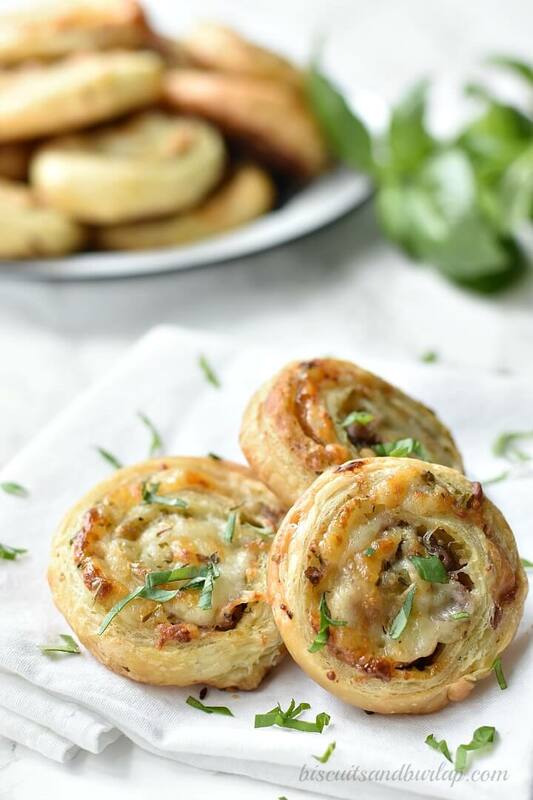 And then there’s the added fun challenge of pronouncing it: Puff Pastry Pinwheels with Prosciutto. Try saying that three times really fast. To top it off, there’s also Parmesan cheese. While it may not exactly roll off your tongue, these little treats are promised to make your tongue (and the rest of you) happy. Use Mozarella cheese that’s finely grated. It will make them roll up more tightly. Put the whole roll in the freezer for 20 minutes before you slice. Bake on parchment paper. This stuff is like heaven on a cardboard roll. 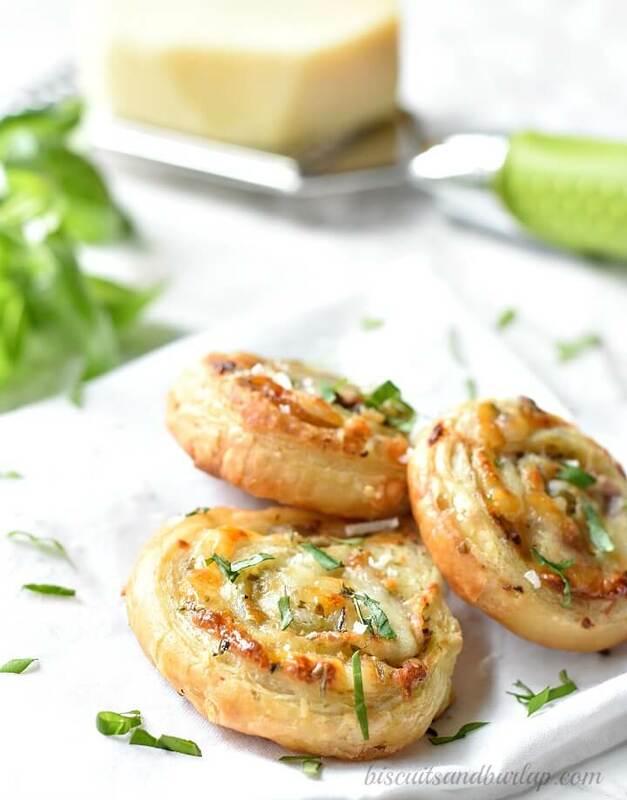 The ingredients are few and simple: besides the puff pastry, you just need pesto (another “P” word), thinly sliced prosciutto, mozzarella and Parmesan cheeses. That’s it! An easy, but elegant appetizer. You can easily use two sheets of puff pastry and double the other ingredients to make enough for a crowd. Top with mozzarella and then Parmesan cheeses, and then pat everything down with your hands. Starting with long edge (the one with pesto all the way to the edge) roll up, keeping the roll as tight as possible. Pinch the edges to seal. Wrap in plastic wrap and freeze for about 20 minutes. Unwrap, trim uneven ends and then slice into 18-20 slices, using a serrated knife. Bake on parchment paper lined baking sheet at 400 degrees for about 20 minutes. We would love to have you. Here are a few of our recipes that we think you’ll like, but there are plenty of others to browse around and check out! « DIY K-Cup Holder | how to stain wood with FIRE!